I bought the entire run ("run." 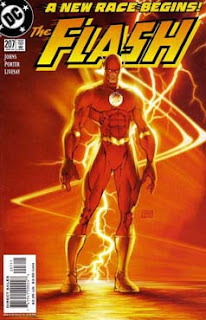 no, that was by accident) of Wally West Flash, and enjoyed just about all of it. Geoff Johns stint had lots of excellent stories, and this issue was no exception. He changed the Rogues from being a novelty to an ongoing threat, and I dug it so much! I'm completely on board for more episodes from this series.